A DNA expert has offered critical testimony in the exoneration hearing of Freddie Joe Lawrence and Paul Kenneth Jenkins. Freddie Joe Lawrence and Paul Kenneth Jenkins are serving life sentences after being convicted of killing Donna Meagher in 1994. Meagher was killed when she was closing up a family-owned bar and casino in Montana City. The Montana Innocence Project got involved with the case post-conviction and some of the evidence from the crime scene was sent away for DNA testing. The DNA tests linked another man, David Wayne Nelson, to the crime. Nelson is currently serving a life sentence after pleading guilty to killing two people in Deer Lodge in October 2015. DNA tests on the rope found close to where Meagher was killed showed both Meagher’s blood and Nelson’s DNA. Separately, the state reopened its investigation into Meagher’s murder after David Nelson’s former sister-in-law and nephew told authorities that Nelson had confessed to Meagher’s murder in 1998. Nelson denies these claims and having anything to do with Meagher’s death. To overturn their convictions, Jenkins and Nelson will have to show that there is a reasonable probability that the outcome of the trial could have been different if a new piece of evidence was introduced. Dr. Greg Hampikian, Ph.D. of Boise State University testified as an expert for the defense. Dr. Hampikian testified that there is no DNA evidence linking Jenkins or Lawrence to the crime and that a key piece of evidence matched another male. Hampikian used a technique called probabilistic genotyping to determine that there is a one-in-700 billion chance that the DNA testing excluding Lawrence’s from the site is wrong. In Jenkins’ case, the chance is one in hundreds of thousands. Hampikian explained that anything more than a thousand is very strong evidence that the DNA does not match. Hampikian testified that Nelson’s DNA was almost a direct match, “It’s about as strong of a match as I have ever seen.” He said that the probability of the DNA not being Nelson’s is 1-in 10 septillion. Nelson was subpoenaed to testify at the hearing, but exercised his right to remain silent. 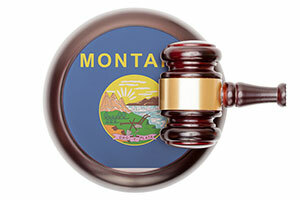 Montana state court Judge Kathy Seeley presided over the hearing and did not make her ruling from the bench. She stated that she would take the parties’ arguments under advisement. My heart goes out to all the families involved. It is hard for all sides.